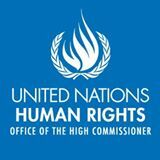 Nepal Foreign Affairs (Kathmandu, March 4): Foreign Minister Mahendra Bahadur Pandey has addressed the High-level Segment of the 28th Session of the United Nations Human Rights Council in Geneva on Tuesday. Speaking at the UN session Minister Pandey emphasized on the universal, indivisible, interrelated, interdependent and mutually-reinforcing nature of all human rights and called for a holistic approach to address the human rights issues faced by the world in the present context. According to a press statement issued by Nepal’s Permanent Mission to the United Nations based in Geneva, the minister underscored that the fundamental principles of universality, objectivity and non-selectivity must be strictly adhered to by the Human Rights Council and other UN human rights mechanisms. “The international community must strive hard to create an environment that fosters free and unhindered enjoyment of all human rights by all peoples around the world,” Pandey said. While reiterating Nepal’s unflinching commitment to human rights, he stressed on various legislative and institutional measures put in place in Nepal to further protect and promote human rights of all Nepali citizens equitably. “In this respect, he shared that the Government of Nepal had been undertaking multi-pronged approach to advance human rights situation in the country, and measures were adopted for protection of rights and empowerment of disadvantaged and economically weaker segments of the population,” the statement said. Expressing the Government’s concerns on protection of the interests, rights and well-being of the Nepalese migrant workers during the entire migration cycle, he viewed that the issue of migration should receive cooperation and understanding from all stakeholders including the destination countries. Updating the Council on the recent political developments in Nepal, he said that the Government was making all-out efforts to come out of the protracted phase of transition and to institutionalize the democratic gains through the promulgation of a constitution by the Constituent Assembly and the conclusion of the remaining parts of the peace process. He expressed his belief that consensus could still be reached on the key issues to be incorporated in the Constitution with strong willingness of the political parties to work together in the larger interest of the country and in respect of people’s verdict. Pandey recalled the commitment of the Government of Nepal to addressing the gaps of conflict era cases of human rights violations and providing justice to conflict victims and informed the Council about the recent establishment of the Truth and Reconciliation Commission and the Commission on Investigation of Disappeared Persons. Pandey stated that this was an important step in our efforts to provide justice to the victims as part of our nationally-driven peace process. “Government would extend every support to make these commissions fully functional in fulfilling the responsibilities entrusted to them,” Pandey said. Minister Pandey was accompanied by Nepal’s Permanent Representative to United Nations Deepak Dhital as well as officials from the Ministry of Foreign Affairs and the Permanent Mission of Nepal in Geneva. The 28th Session of Human Rights Council that started on Sunday and will continue till 27 March. The High Level Segment of the Session is concluding on 5 March.